6.2 When Should I Change My Water Filter Cartridge? Under sink water filters are now more efficient than ever. Some of the contaminants previously removed from the water only with the help of reverse osmosis systems are now being blocked by these filters. But did you know that unlike reverse osmosis systems, under sink filters don’t produce any wastewater? 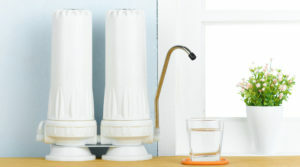 In the following article, we present the most efficient best under sink water filters of 2019. Not only do we discuss their pros and cons, but we also explain why using an under sink filter is an efficient way of producing fresh drinking water for you and your family. We’re certain that after reading our under sink water filter reviews you’ll be able to make an informed decision about which model is best for your household. These are efficient filters, and they’re also more environmentally friendly than other filtration solutions. This is one of the highest rated products on our list. After taking a look at what it does and correlating that with how much it costs, it’s easy to understand why this model has such high ratings. First of all, the major advantage of using this water filter is the good and easy installation process. Unlike other under-sink filters, this one doesn’t need an additional faucet. It will connect directly to your sink’s cold water line instead. The filter also comes with all the components you need for the installation. Another advantage is the long lasting filter it uses. This under sink filtration system uses a filter capable of producing up to 50,000 gallons of filtered water. Most people will filter this volume of water in about 5 years, so it’s safe to say this filter lasts more than others. Simple Installation – This unit has one of the simplest installation processes. You will only need an adjustable wrench and the components that come with the filter. There are several instructional tutorials you can watch if you encounter any problems. A Little Large – This water filter is a little larger than other models. This can be a problem if you also use a disposal system in a small cabinet. 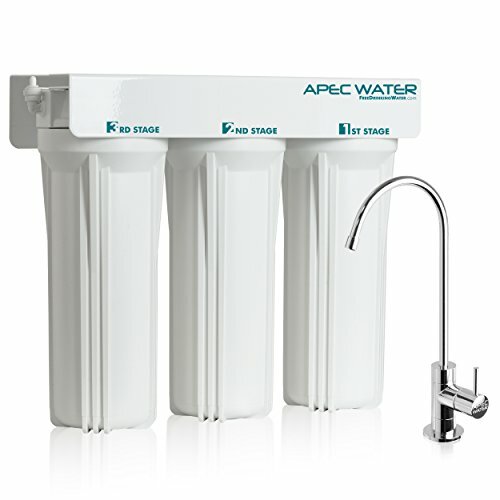 This is one of the most popular under sink water filtration systems. 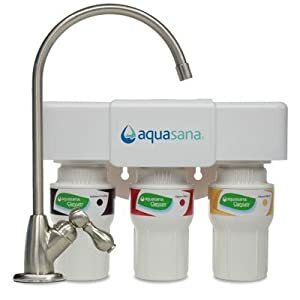 It uses a 3-stage filtration process to remove most of the contaminants in the water, so you can rest assured that the water you’re drinking has a high quality. 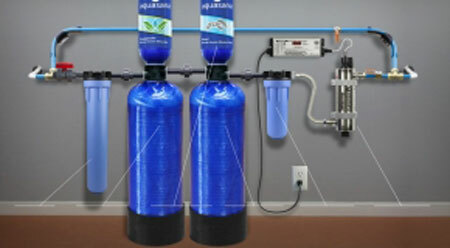 One of the advantages of using this water filter is the ease of installation. Unlike other water filters that need several additional parts, this model comes with all the equipment you need for the installation. The filter also comes with pre-drilled holes so you can mount it on the wall. Another advantage is the good water pressure it offers. Water filters usually do a great job at cleaning the water, but they don’t provide a high water pressure. This is not the case. Despite passing the water through 3 separate filters, the water coming out of the faucet still has a good pressure. Good Faucet – This under sink water filter comes with a high-quality faucet. The faucet has a stainless steel construction, so it’s better than the cheap plastic models other filters come with. Faucet Has One Finish – The faucet only comes with a stainless steel finish. This might be a problem for people who have other finishes for their fixtures. 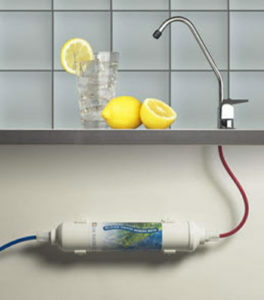 This is an efficient under sink water filter capable of producing clean and crisp water. The Doulton Supercarb uses a cartridge filter to remove the contaminants in the water. The cartridge filters the water in four different stages, making sure that most of the contaminants will be removed from your drinking water. 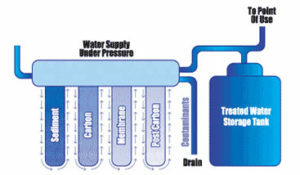 The first stage of the filtration consists of passing the water through a carbon block filter. This will remove most of the particles floating in the water, including bacteria, parasitic cysts, and any bad odors or tastes as well. The second filter has antibacterial properties and it’s self-sterilizing so it won’t become contaminated over time. The third filter is another carbon one that removes chlorine, any lingering tastes and odors and organic compounds. The fourth filter reduces the heavy metals present in your water. Durable – This water filter has a solid housing and thick tubing. This makes the filter more durable than other products you’ll most likely find on the market. Needs Some Parts – Not all the parts needed for the installation are included in the box. You will have to buy some of them from your local store. This is one of the budget choices we included on our list. Despite its cheap price, this water filter is capable of producing clean and crisp water, just like the more expensive models. 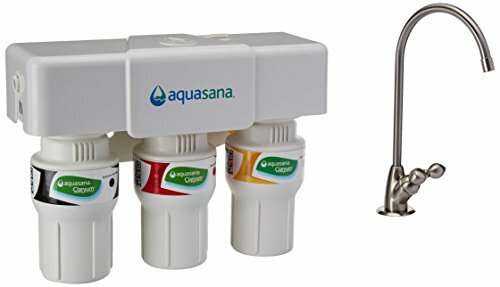 The Aquasana under sink filter is highly effective. It will remove most of the contaminants in your drinking water, including chlorine, pesticides, herbicides, heavy metals, and VOCs. 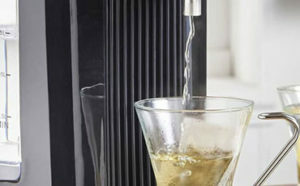 One of the advantages of using this water filter is its twist-off design. Once a water filter needs replacing (about once every 6 months) you will only have to twist it off and twist the new one on. The filter change will only take up to 5 minutes, so that’s a big plus. Another advantage is that this filter comes with a good faucet. Not only that, but you can actually change the faucet’s finish when you buy the filter, so it will match the rest of your fixtures. Filter Change Notification – You won’t have to guess when the filters need changing if you’re using this model. The system will notify you when the old filters have to be changed. Poor O-rings – This filter comes with poor O-rings. The rings will fail after 2 or 3 years of use. However, the company will send you new ones if you contact them. This is another budget choice we included on our list. The Woder under sink filtering system is very effective, despite its cheap price. This system is NSF approved, and all its components and filter materials are also approved. 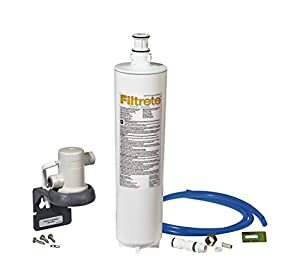 One of the advantages of using this water filter is that it comes with all the pieces and accessories you need for the installation. This means you won’t need to use anything else than an adjustable wrench during this process. Another advantage is the longevity of its filters. 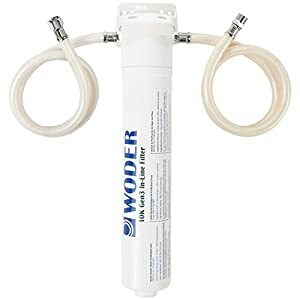 The Woder filters are capable of filtering up to 10,000 gallons of water, so you will be able to use it without changing the filters for roughly 3 years. Long Lasting Filters – Even though a filter change usually takes about 5 – 10 minutes, changing the filters once every 6 months can be tiresome and irritating. The filters used by this system can be changed only once every 3 years, resolving this problem. Slows Water Pressure – Using this filter will reduce the water pressure that reaches your faucet. The water filter will reduce the water pressure by up to 20%. This can be a problem if you have a low water pressure to start with. This is the cheapest model we included on our list and the only one in its price category good enough to make it. The Filtrete water filtering system might not cost much, but it’s very effective at removing contaminants nonetheless. One of the advantages of using this filtration system is that it doesn’t come with a separate faucet for the filtered water. 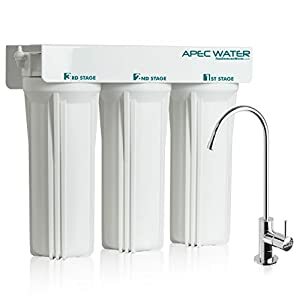 This system will connect directly to your cold water line, and all the water that passes through it will be filtered. Installing this model is easy. Most people will have no problems installing the unit by themselves. The installation process shouldn’t take more than 30 minutes. The filters used by this system can filter up to 10,000 gallons of water. This means you will have to change them once this volume of water is filtered, or after 6 months have passed. 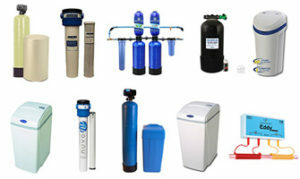 Good Filtration – This filtration system is very effective, despite its cheap price. 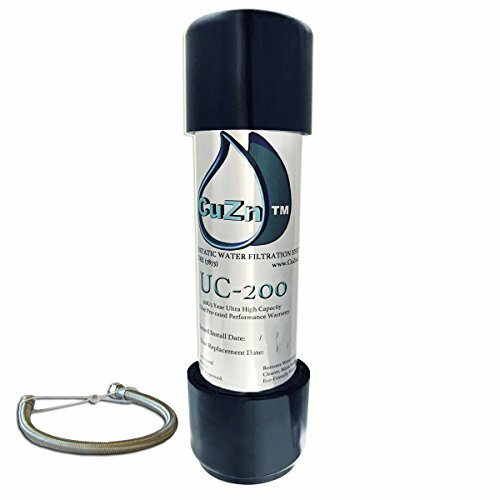 It will remove up to 99.99% of the sediments, soils, sand, and cysts in your water, 96.6% of the odors and tastes, and more. Doesn’t Last 6 Months – Despite its advertising, this model won’t actually last 6 months, unless your water source is not very contaminated. When filtering a highly contaminated source, the filter will only last 4 months tops. Now that you’re looking to buy an undersink water filter, you might want to know how one works, so you can understand the differences between builds and models. The first thing you need to know is there are two types of under sink water filters. The first one is called a simple under sink filter, while the other is called conventional under sink filter. In the following section, we explain how each of the works, and the pros and cons of choosing between the two types. Even though this system is called simple, the way it works is actually pretty complex. The term “simple” comes from the way the system is installed, rather than the way it works. When you install the simple under sink water filter, all the cold water supply is diverted through the filter. This system doesn’t use a separate faucet to deliver the water; it’s delivered through your regular faucet instead. Because the filter is connected to the cold water line, it won’t filter the hot water. The advantage of using this system is the ease of use. Instead of having two separate cold water faucets, one for filtered and one for unfiltered water, you have a simple system. Thus the name. The water reaching the filter has a higher flow, so some contaminants will escape the filtration. As you can probably guess by now, this system is called conventional because the first under sink filtering systems were only designed this way. To install a conventional under sink filtration system, you will need to divert the water in the main cold water pipe to the system using a connection. The connection is usually a short plastic tube. After the water is filtered, it is sent to a separate faucet mounted on the sink. Only the water that reaches that faucet will be filtered. The cold and hot water reaching your regular faucet will be unfiltered. Find out here whether a hot water dispenser is the best option for you. The system is always under pressure, so it will be able to send the water through the filter and then to the faucet. The main disadvantage of using this type of faucet is that you have to either buy a sink with two faucet holes, or you have to drill a new hole in the sink or the countertop. Modern under sink water filters are now able to reduce contaminants previously removed only when using a reverse osmosis system. Old models would only use an activated carbon filter to block the contaminants, but modern models use cartridge filters that combine more technologies. 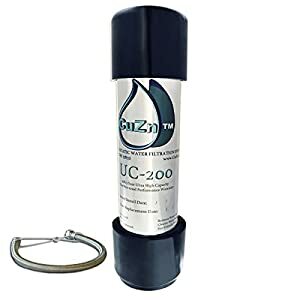 Despite the new technologies used by under sink systems for filtering the water, the activated carbon water filter is their most important component. When it comes to under sink water filter systems, the more carbon they use, the better. Removes Bad Odors and Tastes – Most under sink water filters use at least one activated carbon filter. This type of filter is very good at removing the bad smells and tastes from the water. 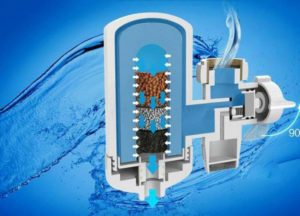 Sediment Removal – Some of the components of the cartridge filter are specially designed to remove the sediment from the water. Some cartridges will use a pleated polypropylene or a spun polypropylene especially for this, but the activated carbon filter will also help. No Chlorine – Thanks to the activated carbon filter, chlorine is also removed. Some models will use an initial carbon filter to trap most of the larger contaminants and chemicals from the water, and a second carbon filter to make sure chemicals like chlorine are removed. Less Fluoride – The under sink filtering systems use a special Alumina filter to remove the fluoride from the water. This removal is usually not complete, so some fluoride will reach the faucet. No Arsenic – Thanks to the Alumina filter, the arsenic is also removed from the water. Nitrite/Nitrate Reduction – Nitrates and nitrites are very dangerous for children and elderly. The under sink filters use an Anion resin cartridge to remove these compounds from the water. 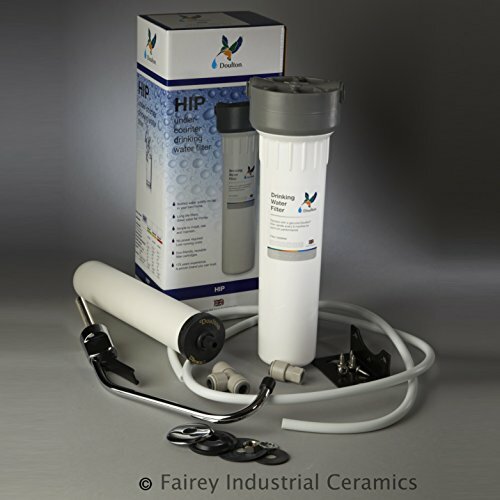 Less Limescale – The cation resin in the filter’s cartridge will remove most of the calcium and magnesium in the water. This will lower the amount of limescale buildup on your sink. Bacterial And Microorganism Removal – The cartridge used by the under sink water filters can also block bacteria from reaching the faucet. This is also true for other microorganisms like Cryptosporidium and Giardia. Most people want the same thing from an under sink filter, and that is filtered water. However, there are some other things you should keep in mind when buying a filter, even if you don’t know it at the moment. When it comes to water filters, water pressure is very important. Only a few things can be more annoying than waiting a long time for a single glass of water to fill. Using a water filter capable of delivering a good water pressure is especially important if you don’t have a good water pressure, to begin with. Simple under sink water filters offer a better water pressure than conventional ones. However, the downside of this increased pressure is that the water spends less time in the filter, so some of the contaminants might go through the filter without being blocked. This might actually be a problem if you have a highly contaminated water source. If the water is not overly contaminated, the number of contaminants that reach the faucet is insignificant. Depending on the components of the filter cartridge, some filters will be more efficient at removing some categories of contaminants than others. Some models might have a very good overall filtering capacity, but still, lack the materials needed to remove a specific type of contaminant. This is why you should always use a home water quality testing kit before buying a filter. A kit will show you which contaminants have a higher level of your water source. Using this information, you should seek a model that’s very efficient at removing the particular compounds that contaminate your water. Another important thing you should take into consideration is the ease of installation, and how fast you can change the filters. You might be wondering why the installation matters since you only have to install the unit once. Well, the fact of the matter is that if a unit is difficult to install, you might damage it in the process. This can lead to a long and tiresome discussion with the customer service representative to send you a spare part, or another unit altogether. Another reason is that you shouldn’t spend money on hiring a plumber for the installation. This kind of filtering systems are usually designed as DIY projects, so there’s no need to hire a professional. If you encounter any difficulty during the installation process, chances are you will find an instructional video online that might help. If you can’t install the unit even after watching the video tutorial, there is still one step you should take before hiring a professional. You should call the customer service. Most often than not, customer service professionals can provide valuable information regarding the installation process. Using easy to change filters is also important. Most of the models we presented use filters that can be changed in under ten minutes. However, some other models on the market use filters that are really difficult to change. This can be a problem, even if you only have to change the filters once every 6 months or more. We’re certain that if you’ve been looking for under sink water filter systems, you already noticed that most of them need new filters every 6 months or so. However, there are some models that need a filter change only once every 3, or even 5 years. Is this really important? As a matter of fact, it is. Most cartridges work in the same way, so having a cartridge capable of filtering more water means that it’s better built. The cartridges that last longer are usually made with high-quality components, so they will also be very efficient at filtering the water. However, you should be aware that even though a cartridge might be advertised as lasting a certain period of time, it might not reach that period. The reason behind this is the water’s quality. When a cartridge is tested, it’s tested with municipal quality water. But, and this is a big but, municipal quality water as it exits the water treatment facility, not as you receive it through your faucet. The miles the water has to go through old pipes will contaminate it as well. This means that the water you use will most likely be more contaminated than the one the cartridge has been tested with, so it will last less than advertised. These filtration systems are easy to compare since they both use activated carbon filters as their main component. Each of them has advantages and disadvantages so we created a list comparing the two. No countertop space – These are installed in the cabinet under your sink, so they won’t take up space on your countertops. Good Filtration Rate – Unlike countertop filtering systems, these ones usually have a good filtration rate. 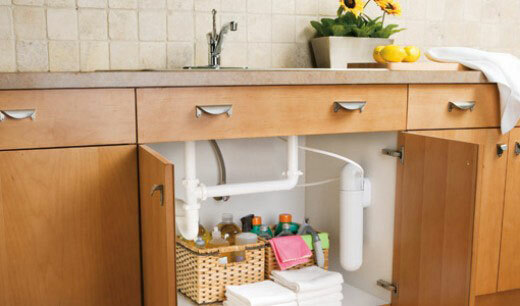 Larger – Even though they’re hidden under your sink, these filters can be larger than countertop ones. This means they will take up more storage space, even though not on the counters. Harder To Install – These models are usually not difficult to install, but some countertop units don’t even need an installation. Easier to install – These systems are easier to install than under sink models. Slower Filtration Rate – Countertop filters usually take longer to filter the same amount of water as the under sink models. Can Ruin Your Design – These filters don’t look good, so they might ruin your kitchen’s design. You should always follow the instructions manual the manufacturer provides. If you’re uncertain on how to continue the installation process, you should search for video tutorials or contact customer support. When Should I Change My Water Filter Cartridge? There is no general answer to this question. Some systems will need a filter change once every 6 months, while others can filter water for up to 5 years without a single one. You should always follow the manufacturer’s instructions and change the filters at the appropriate time. Some systems will automatically notify you when it’s time to change the filters. This process will also vary according to the model, but there are some steps you should always take when changing the filters. You should always change all the filters at the same time, even though some might look better than others. Now that you read our under sink water filter reviews and our comprehensive buying guide, we’re certain you’ll be able to choose the right model for your household. As you could see in the article, the best under sink water filters are capable of blocking most contaminants from entering your drinking water. It doesn’t matter if you get your water from a well, or if you get it from the municipal source, a good under sink filter will remove most of the contaminants that would otherwise reach your faucet. You don’t really know how under sink filters work? That’s not a problem. You only have to read our short buying guide and you will understand how they filter the water. Understanding how they work will help you with making the right decision about which model to buy. If you feel you didn’t find the right model in our under sink water filter reviews, you can see the other filtering solutions by clicking here. I really appreciate the buying guide you put together for home water filters. 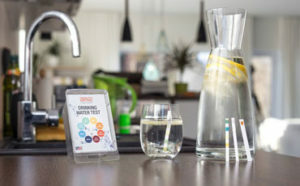 It is great advice to test your water before buying to determine the level of contaminants you would need filtered out. The area I live in is not known for having great tap water, and we also have old pipes in our house, so I bet there are a lot of contaminants. That’s why I’m looking into getting a filter. this article was so helpful and consolidated all the research i have been trying to do across multiple websites. thank you!